Some very good advise! You should write about what is important to you. You have made some friends with your blogging and I am pleased to count myself one of those friends but it does mean making the effort. Hope your friend listens to you! 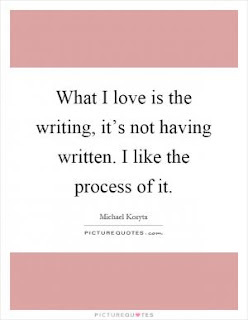 Writing should come from the heart. Your readers would know otherwise. As for a successful blog, well I guess it depends on what niche they want to write about. I know a people who became successful blogging about travels, technicalities, and other lucrative topics. But I'm not into SEOs and stuff so I don't think my blog would last this long if I chose that path. :) I think it really depends on what they love to write about. That will determine their online success. e em tudo que for fazer sucesso, tenha uma semana abençoada. I always love reading your posts and you are one of the few bloggers I always tend to follow to the point I feel like I actually know you (in person), just by connecting through comments. You do write from your heart and keep doing that. Dear Launna, I totally agree with you. Writing has to spring from the heart and has to give you happiness and peace. Blogging then lets you meet people from all over the world and special women as you are. I think you gave them a pretty good advice. I don't have anything against people who set out to blog as a way to make money or achieve that some kind of material success or influence. If anything, I think it is good that there are professional bloggers because I think that most of them got there with their own hard work and I respect there. However, today everyone thinks they can make money with blog easily and for this they give up on the more personal (but for me very meaningful) aspect of blogging. I try to make my blog personal because writing aspect of it is very important to me. Moreover, I think it is a form of respect to read the blog post we're commenting....if we don't have the time to read some really personal point, we should come back some other time...because leaving some general comment like 'great post' when somebody has poured their heart out seem kind of cold to me. I totally agree with you. I think you must enjoy with your blog. Have a wonderful week! I totally agree with you, because it's very difficult to write when we are not inspired by what surrounds us. The blogging world is so cool, because It lets you know differents point of views. I repeat to you: I really love your blog and your personality. Such a good advice, I totally agree with you darling!!!! It's always a plweasure to read your posts Launna!!! For me, finding my voice was the most important aspect of blogging. My early entries were, for the most part, stories and events from my past but I was trying to write like other writers I'd read and admired. It took a while to realize I had a voice of my own. You gave your friend exactly the write advice! Write because you love to write--to share those things you hold inside--whether it be personal or the love of an inanimate object. If you love decorating-write about it. If you love collecting dishes-show them off. If you want to bare your soul and put your true feelings out there-do it! I started my blog on a fluke after reading a friend's blog. I had never even heard of blogging prior to that. I quickly became connected with others that share the love of the written word, or beautiful things, or kids/grandkids, or life in general. It has expanded my horizon and stretched me as a person. For some reason, my blog turned into a place people came for prayer and asked me to post prayer requests. I don't think I am a particularly 'religious' person but I am spiritual and believe in the healing power of God. Those prayer requests I did for other came full circle last Fall when they discovered by husband had cancer to a devastating degree. I put it on my blog and people all over started praying for him and they put them on their prayer chains. We went from a 'quality of life for a time' diagnosis to a "we cannot find cancer" diagnosis three weeks ago. Maybe the only reason I ever blogged was to hear those words. 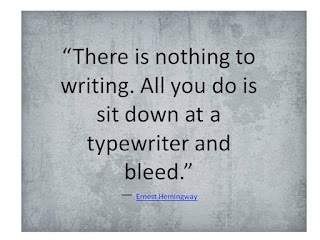 A wonderful post about the subject writing. Yes, you really have to LOVE writing to want to blog. 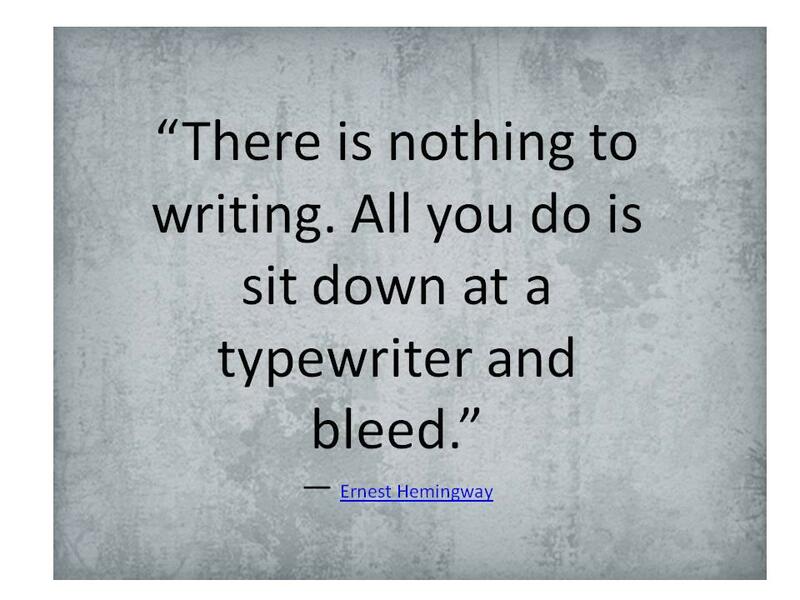 And then to encourage others to Keep Writing, too. Writing is the best!!! Good advice you gave your friend. 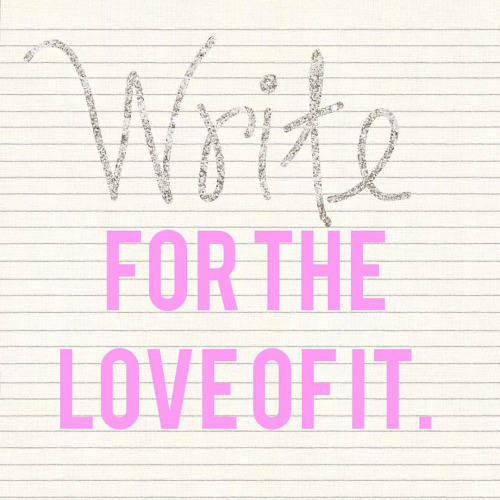 And we write first and foremost for ourselves. Happy day, Launna...enjoy every minute of it. Dearest Launna, Your words are so true! I'm checking and replying back to blogs in ages and that feels so heavenly. I must first apologise for being so lost the last couple of weeks. Truth was, I missed you all and while I made some blogposts that had to be made, I spent my entire waking hours working towards developing the new site and I'm going to be more frequent into writing all that bottled up words, like your blogpost suggests and feel happy about doing it! Thank you for constantly motivating me with your words! Launna, meu Blog é um hobby pra mim. Sou igual você: faço com amor! O sucesso é apenas uma consequência. Mas se seu amigo quer ganhar com um Blog, o segredo está em fazer com dedicação e capricho! E acima de tudo, dar a devida atenção e carinho para os verdadeiros leitores! Yes, I don't think blogging is the best or easiest way to make money either. A few are able to do it, but it takes a lot of work. Most bloggers just enjoy writing and connecting with other writers, I think. ¡Muy buenos consejos! Creo que cuando llevamos adelante un blog, escribir con pasión y con amor es lo más importante. Los lectores se dan cuenta cuando es de otra forma! Launna, I admire your talent for writing and expressing yourself. And I agree with what you told your friend. I find blogging to be therapeutic, even when I don't talk about myself in posts, because just the act of looking for videos and quotations, listening to the videos and reading the quotations, helps me to relax and to grow, and knowing that in some small way I am touching others helps me as well. You have a great blog and I admire your talent for writing. Hugs to you. I love this post Launna and you gave your friend truly great advice. I can also say that you are one of the most genuine and generous bloggers, especially when it comes to supporting other bloggers. Your comments always make my day and you were SO right that it's most important to write about what you love because if it's forced, then it really shows and readers will pick it up immediately. I can't believe you're already having your 7 year anniversary! Time flies and I hope you're having a nice summer. I agree with you. 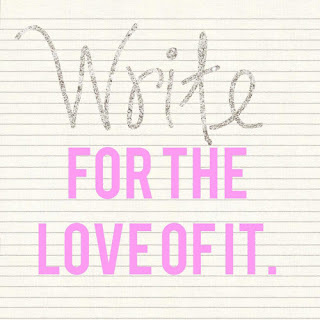 To pen down what we love is best in writing. For me, I get no time to sit and write. I have to keep on moving in remote villages. Completely agree with you. blogging for some is just a money churning thing , but the real essence is to write from the heart. Very good advice Launna. I think in the blogging world its very obvious who is doing what sincerely. I too get a ton of generic comments which is kind of disappointing to say the least. 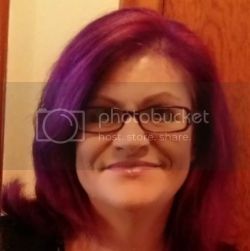 Thank you Luanna for supporting me and always visiting my blog I am so grateful. Have an adorable day my sweet sweet Launna. The words of you is really true Launna.I have improved myself in many ways after i started to writ blog. I can't believe you've been blogging for almost 7 years! Though I have gone back and read some of your old posts, it's still pretty cool that you've been doing this for so long!! You gave your friend some great advice!! Oh yes, writing can be so therapeutic! This is such wonderful and honest advice, Launna. And I completely agree with you. I have come across many bloggers who quickly gain a large amount of followers...but then end up disappearing after a while. It's strange that they post so much and gain so many followers but in the end they disappear and the only thing they have left are a bunch of photos...like a shell or exoskeleton. You are so right. I never make writing a duty. When an issue comes up, I write and before I know I have made my point and then I feel good because I have shared my experience with my blogger friends. I have not been visiting or writing regularly lately. My job and driving is taking so much of my time away from my loved ones including my blogger buddies. I Hope that all is well with you and your daughter. Take care of yourself and her. Your writing is very inspirational and helpful. Thanks. Me too Launna - I just love to write, and a blog is the perfect place to get everything out! You definitely can't go in planning to make money, or be successful right away. It's a lot of hard work! But the friendships make it all worth it. Your Words come from your Heart Launna, i love it to read your Blog! I write because I'm ambivert, speak less. I gave voice to my thoughts with help of words. Great advice you gave here. Internet and blogger have given me friends. I'm glad to count me your friend. Ciao Launna, happy wed daròing! I read your thoughts and I agree with you, I liked what Ivana said too even is a sad aspect, but we hope that commenting will improve as reading the post is very important to make a community, to give back. You are so right about blogging. If you don't love it, you'll eventually quit. Glad blogging has been a good outlet for you. I think you gave the right advice to your friend, Launna. Many new bloggers thought that all they need to do is write a bunch of stuff and people will stumble onto their blog and they will miraculously become a huge success overnight. Blogging is hard work and it's important to start one because you're passionate about it. I've seen so many people come and go. You know, I hate that I no longer respond to everyone's comments. I always read them, but I only have a limited amount of time for blogging and I'd rather be visiting people's blogs and seeing what they have going on. Here's to supporting one another and building a great community! Launna! Aquele lápis para olhos é excelente! O mais legal é que ele fica bonito e ao mesmo tempo discreto. As for your writing, I've always admired your honest and candid blogposts. I think leaving a generic comment is even a bit of a lack of respect, similar to when someone's talking to you and you pretend to be listeting to them and say like 'Yeah, you're so right' and stuff like that! And would you look for that person again to talk? Hmm, probably not. 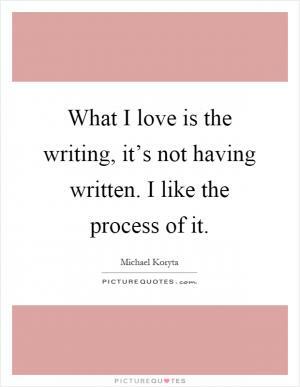 Yes, writing should come from the heart and you should do it when the bug strikes you. I love your blog for that reason Launna. I write about what I love, style, art, and add a bit of who I am and other things I love in the mix. I started writing because I needed a creative place away from my norm, but I also wanted to inspire others at the same time. With positivity always! I think you gave your friend great advice. Hope you are having a great week! I've had people ask 'but how do you make money from it' and my reply is always to not be in a hurry. Do it cos you love and enjoy it should be topmost on our minds. I've also read those blogs with tons of generic comments. I know who reads my posts as in really read it and those that gloss over. But then again to each their own. Making meaningful connections is huge in my opinion. Just as important as enjoying what I do. Have a great weekend Launna. There are so many blogs aren't there and we each choose which ones we want to read, which ones we want to comment on. Over the years I have met and made some great blogging friends from so many countries. We should write about what interests us, and be sincere. If we don't enjoy it then what is the point? Hi dear Launna! Wow, you started your blog 7 years ago? That is really cool! Time goes so fast! I totally agree what you are saying.. Writing blogs should come from your heart. It is important that you still have fun doing it. That's the key! <3 I wish you a wonderful weekend! Bela postagem amei, tenha uma semana abençoada. Ciao Launna, have a great start of the new week! I am happy you wrote this too, Launna. Very similar to one of my posts, you have to write from a place of passion or it wont be successful. But then how do you define successful? If it's money, you shouldn't start a blog just to gain money. If you count success as readers and appreciation, that definitely happens in time. But only if you write your passion, like you said! I generally get annoyed with people who ask me how to make a blog because they want to make money. Hey Launna! Happy Sunday!! :) I totally agree. I have some posts where I have written about things so meaningful to me and then the comments are like... I like that second picture. haha. But It's awesome that you have such strong followers. I really don't but I find that my followers that continue to come back are a few of my actual friends. I'm so glad that you are someone who actually reads my blog. hehe. I think it's so important too, as you said, to write for you, about what you love. That is what makes this little online space of ours something that will have longevity, regardless of popularity. Lol! This is totally me and the way I write. Ideally, I would love to make some money off of my blog but THAT is not the priority for me. I know that requires discipline, dedication and consistency- I admire people who set their sights to it and just go for it but I like the ease and pace at which I go at the moment and if I had to do it any other way because I wanted cash, it would make writing a perfunctory chore to me so, for now, I'm happy with the way and pace I'm going. Who knows what the future holds? This is a very insightful post Launna. I think some people expect short cuts to success with blogging, especially in the early stages, but it's definitely a labour of love as you've said. You're absolutely right, the best thing is to write with sincerity, and for the right reasons. I find blogging to be very rewarding creatively, and it's really nice to have that outlet, and connect with others whom I wouldn't ordinarily come into contact with.